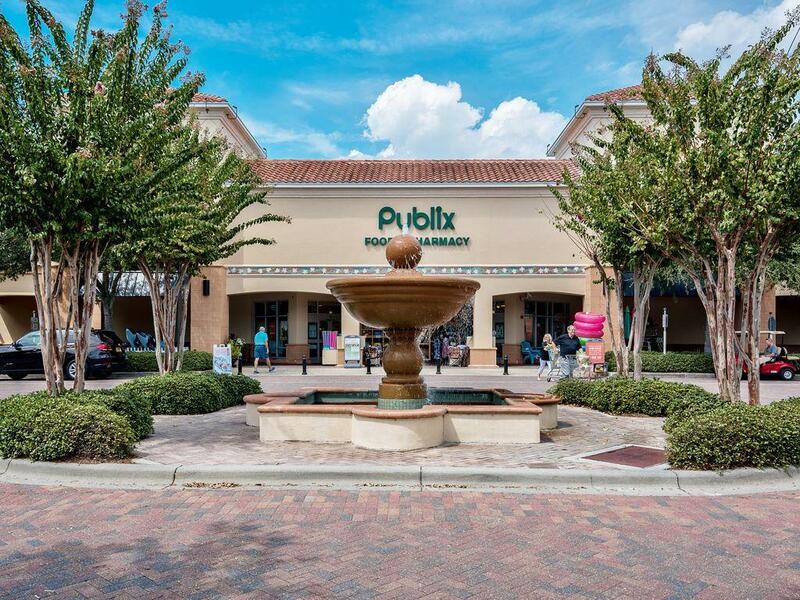 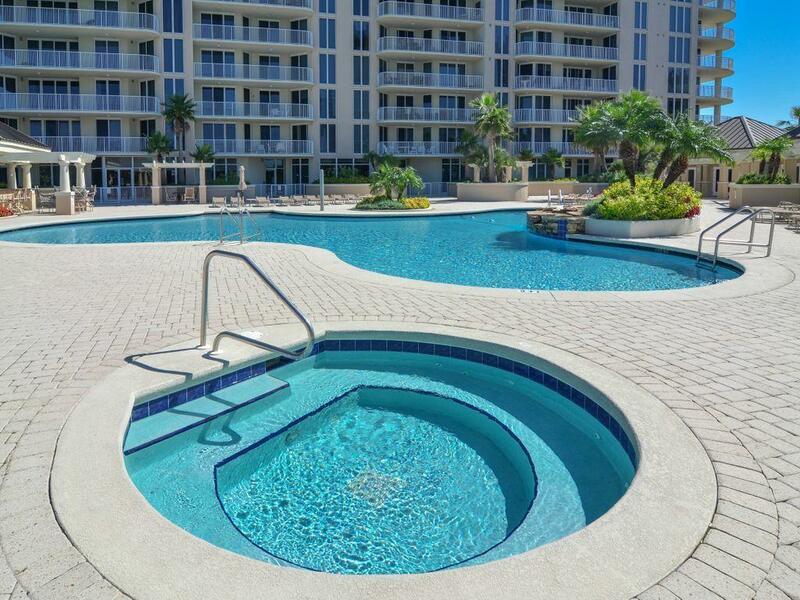 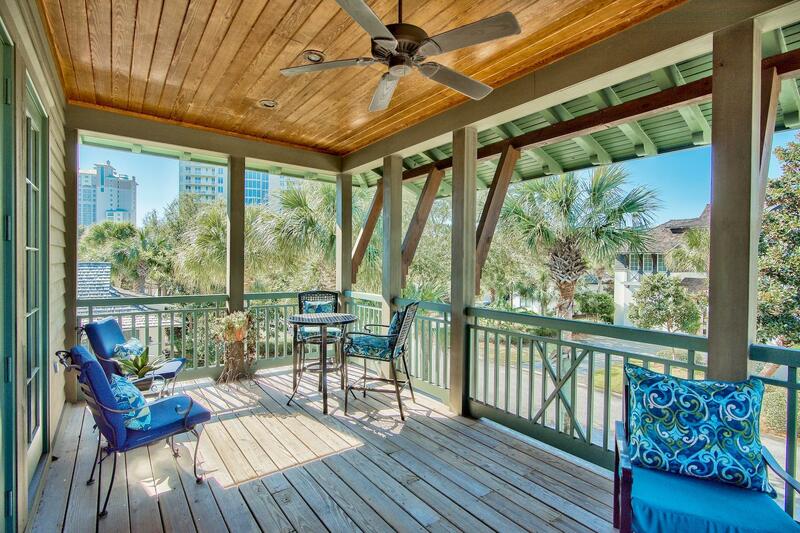 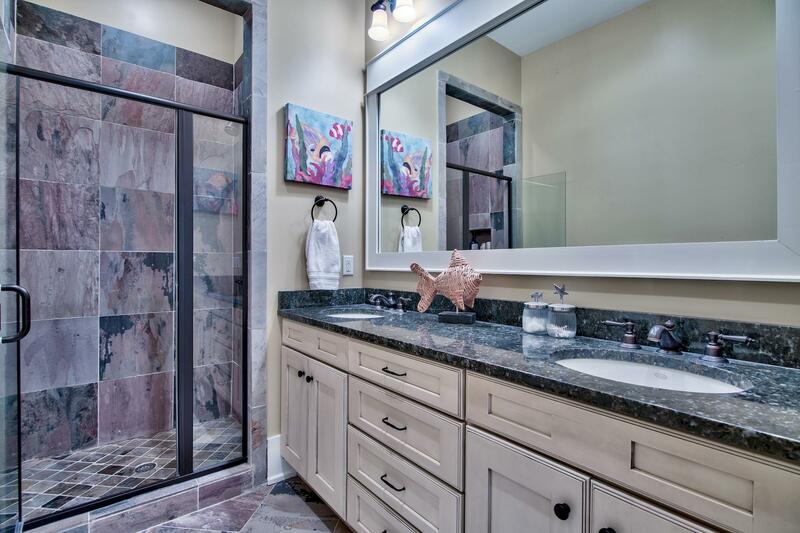 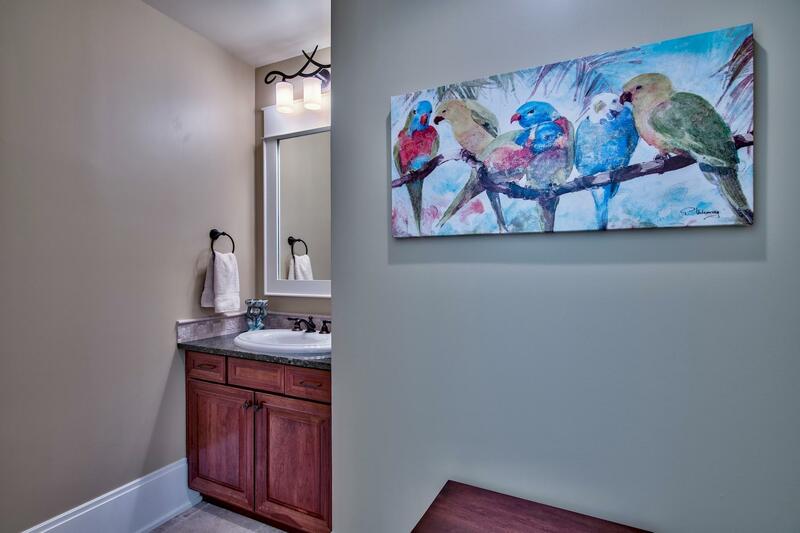 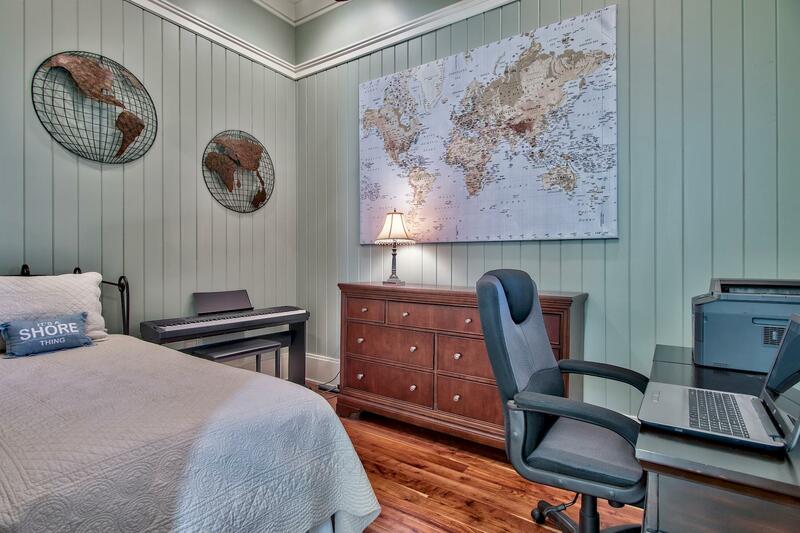 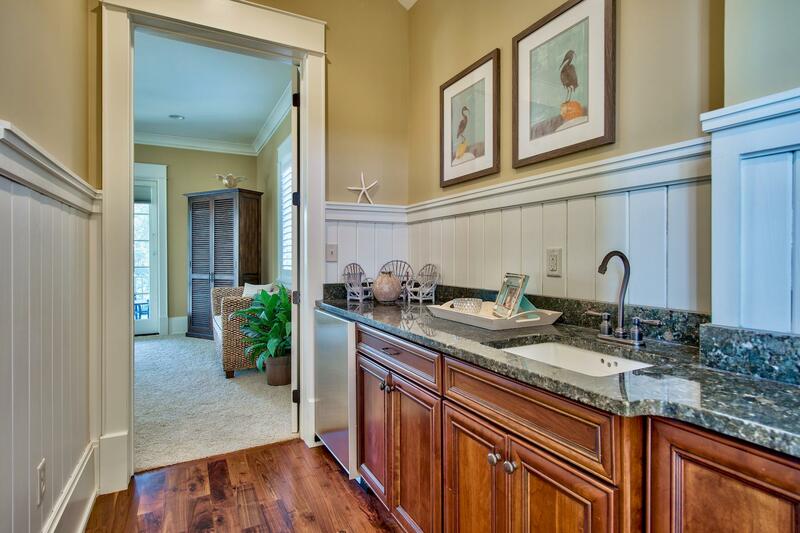 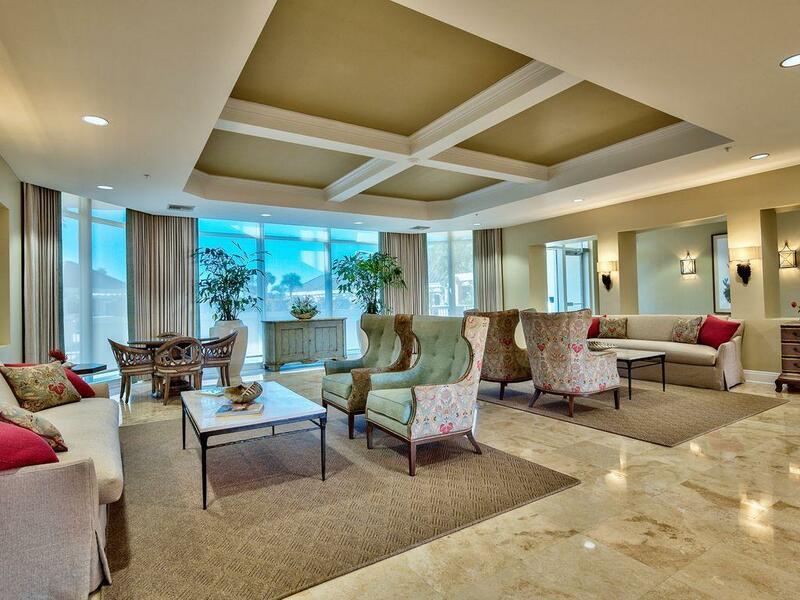 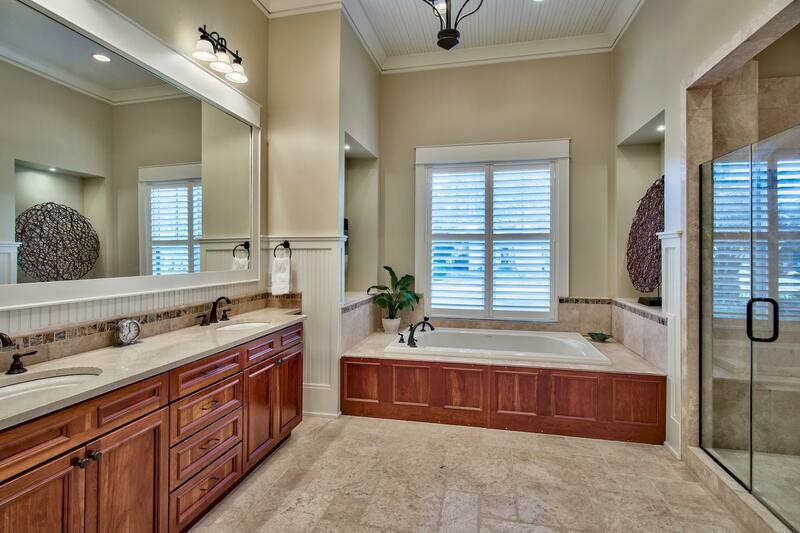 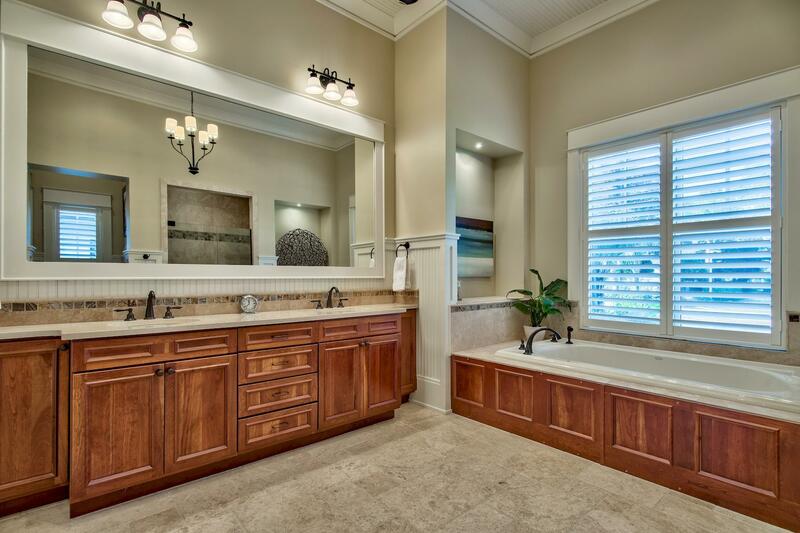 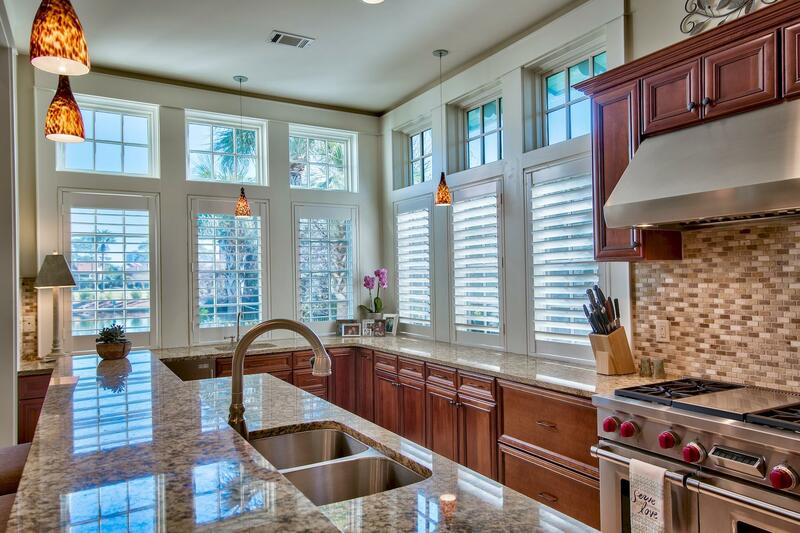 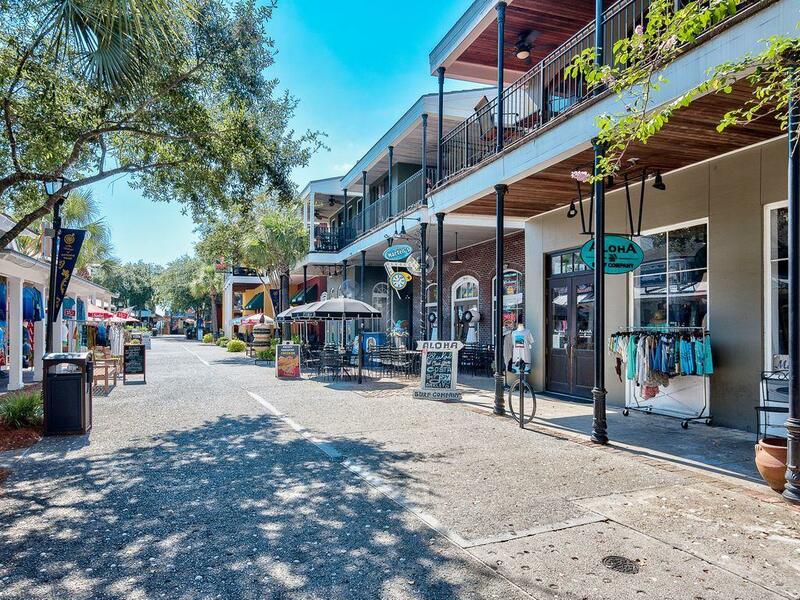 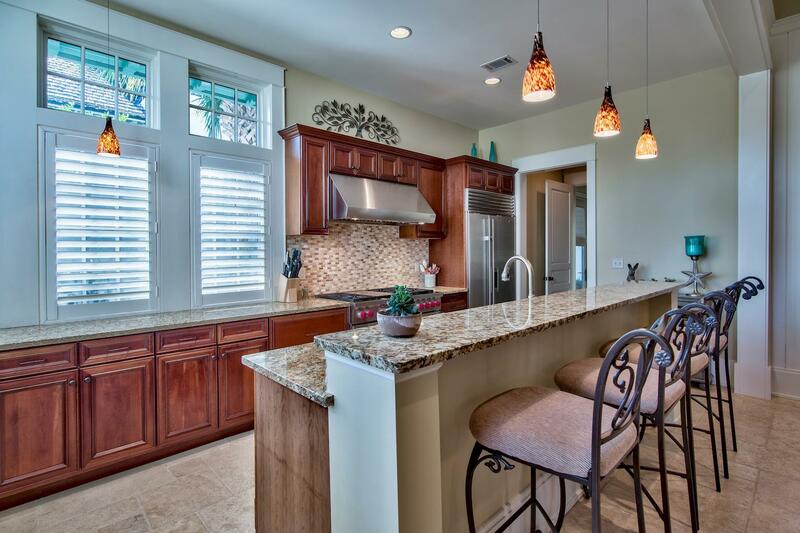 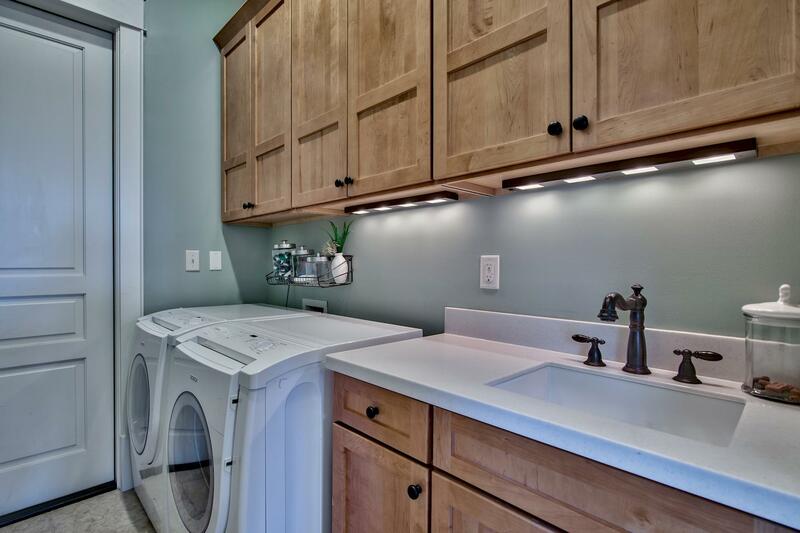 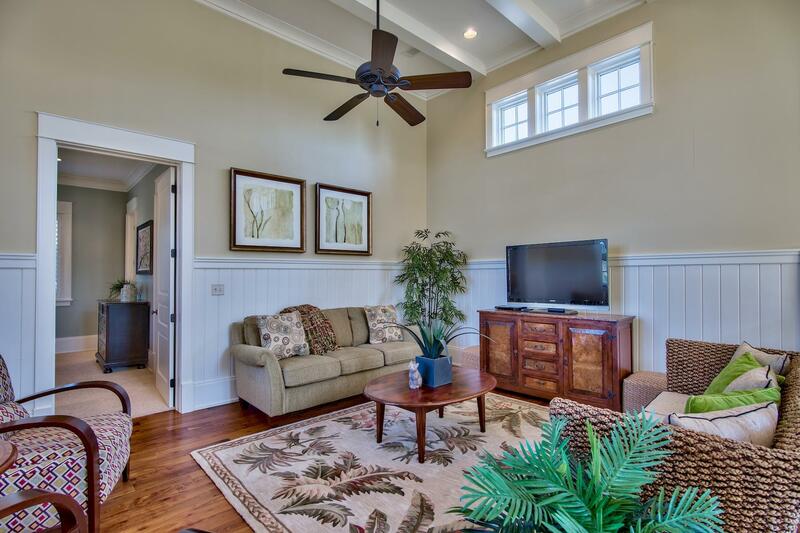 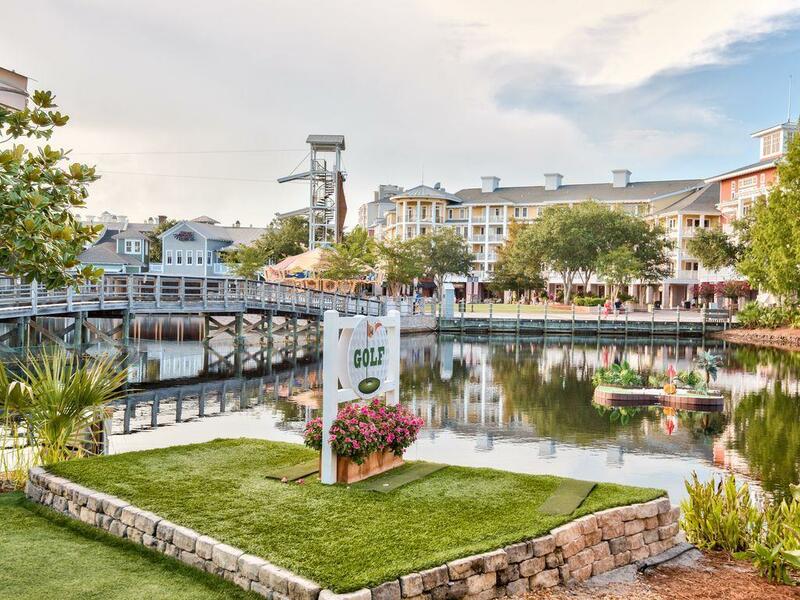 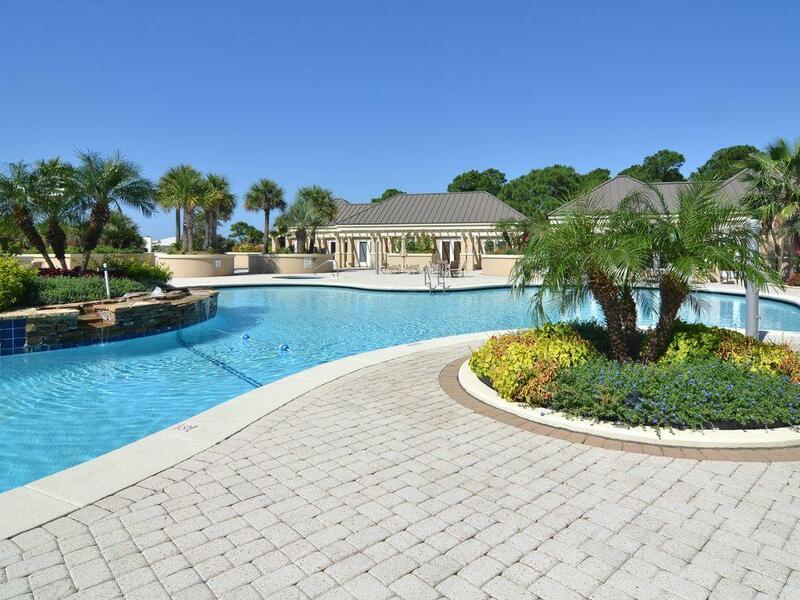 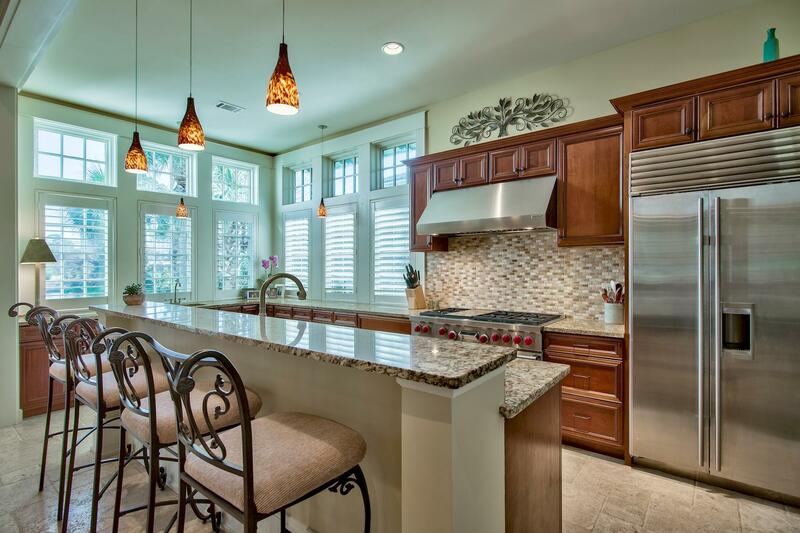 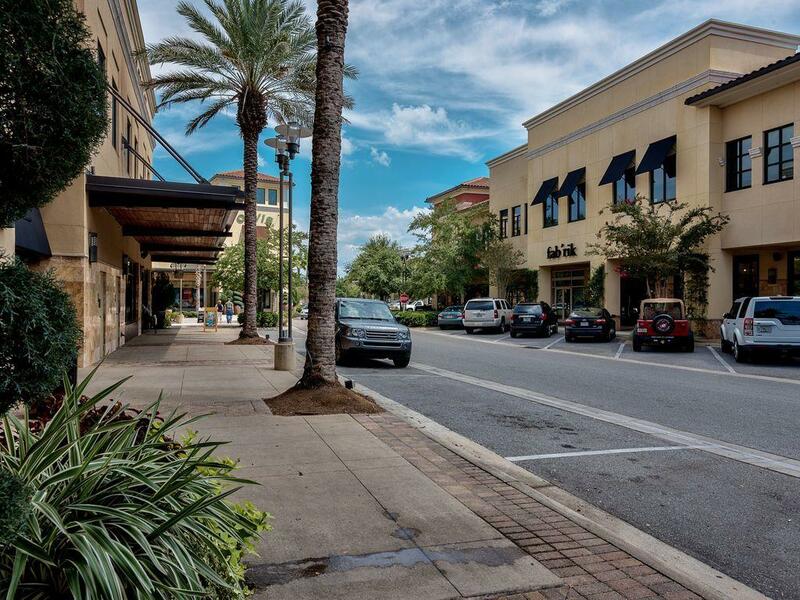 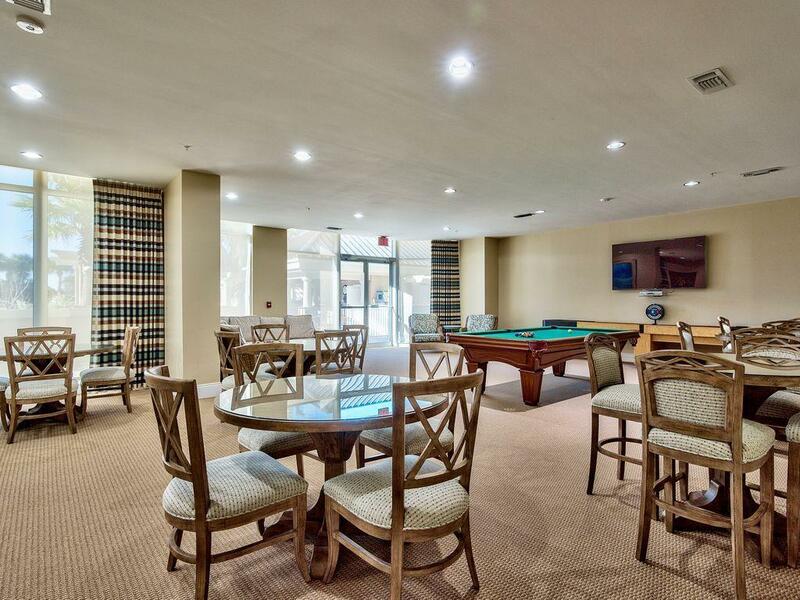 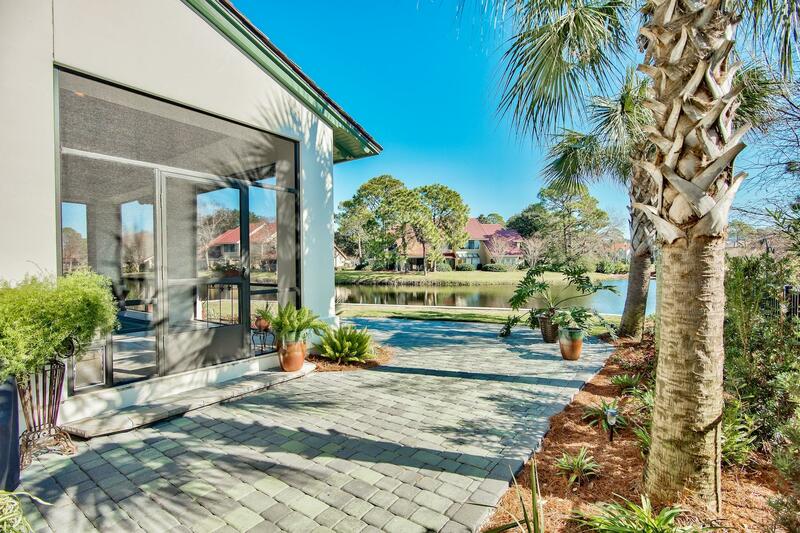 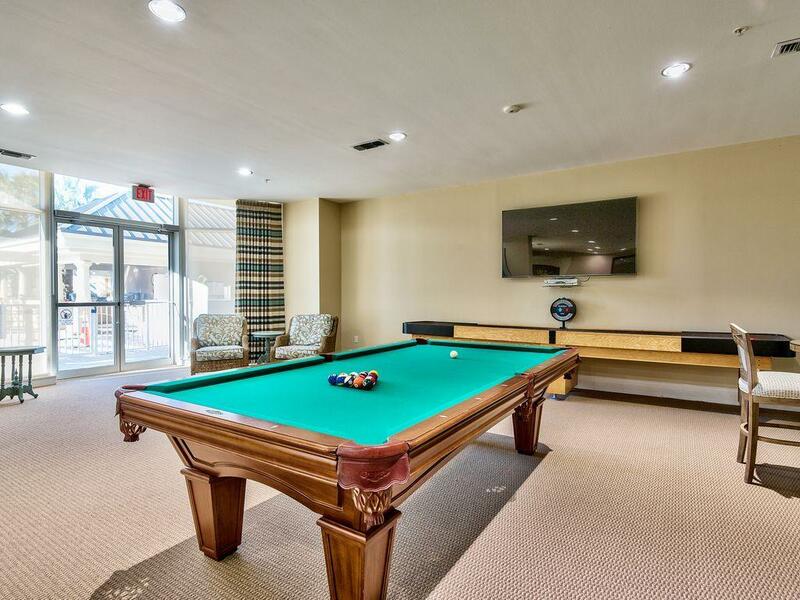 5217 Portside Terrace, Sandestin, FL 32550 (MLS# 814596) - Real Estate Professionals of Destin, Inc. | Real Estate Professionals of NW FLA, Inc. 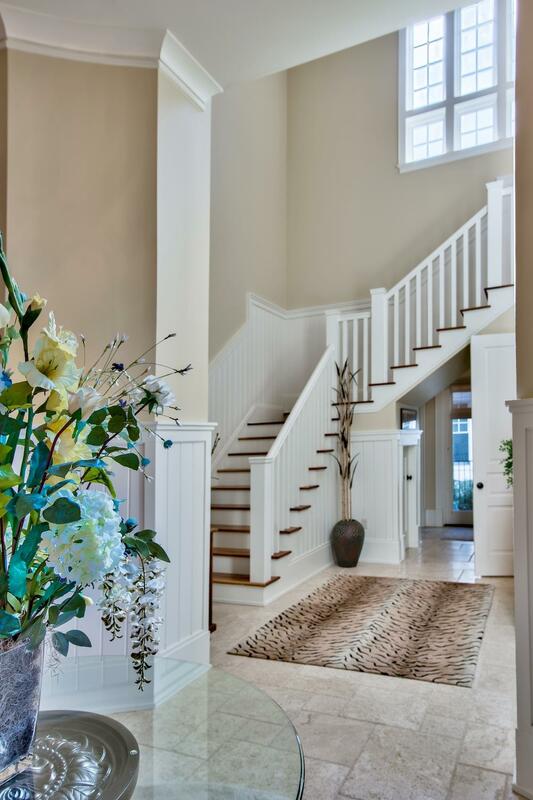 Bold crown moldings, coffered ceilings, 10-inch baseboards, plantation shutters and solid millwork provide further evidence of a finely crafted home. 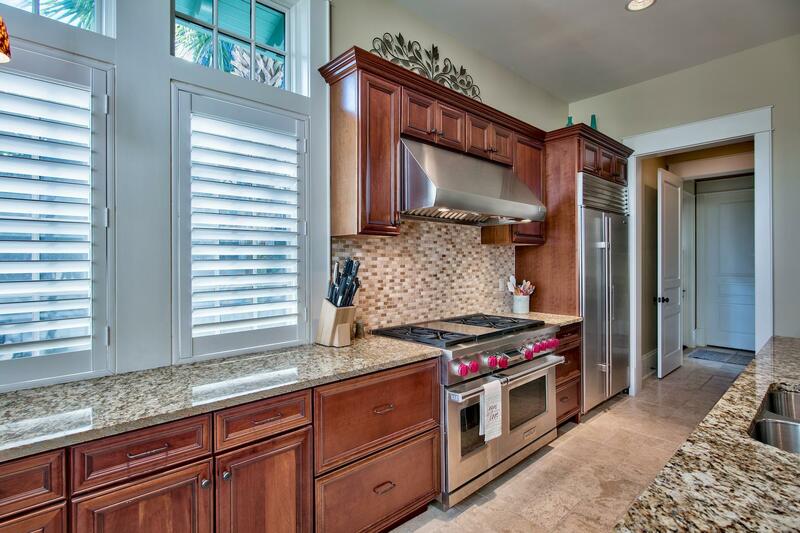 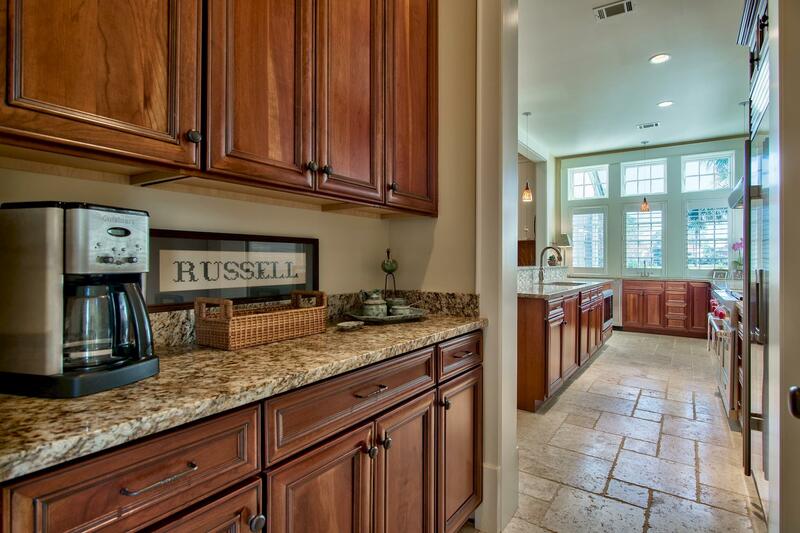 The spacious kitchen lacks nothing with its Butler's pantry, six-burner Wolf stove, twin sinks plus chef's prep sink, Sub Zero ice maker and huge island. 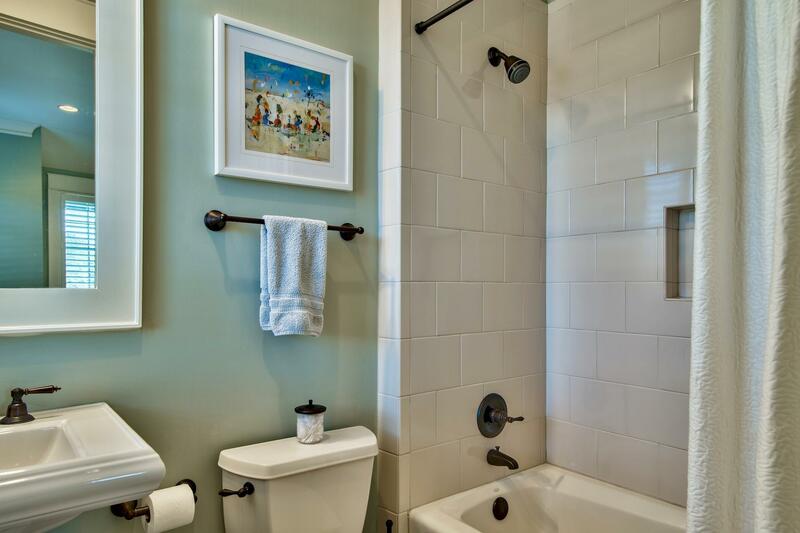 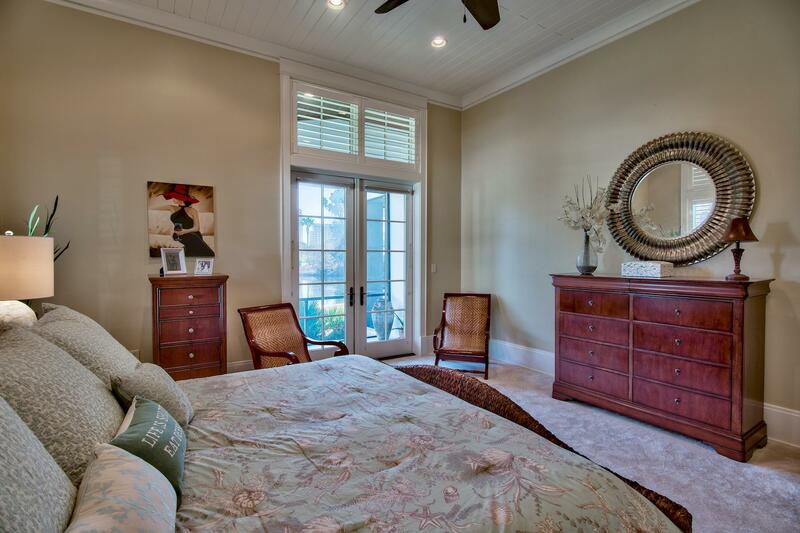 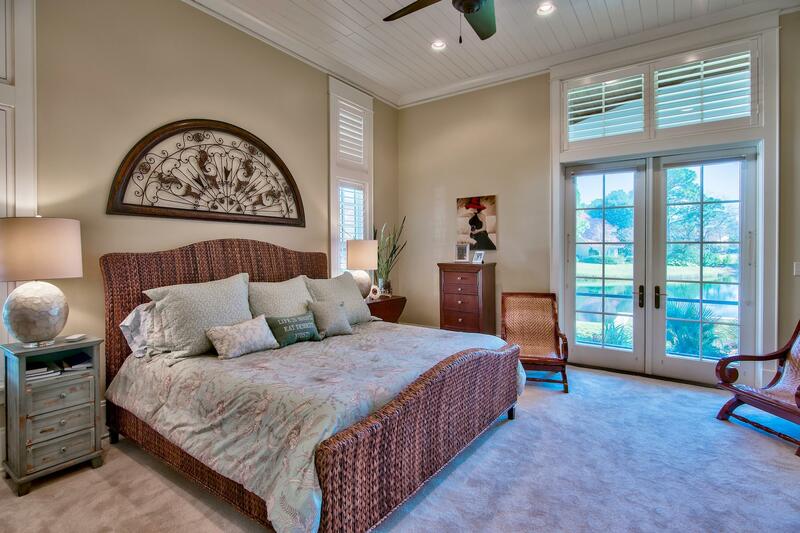 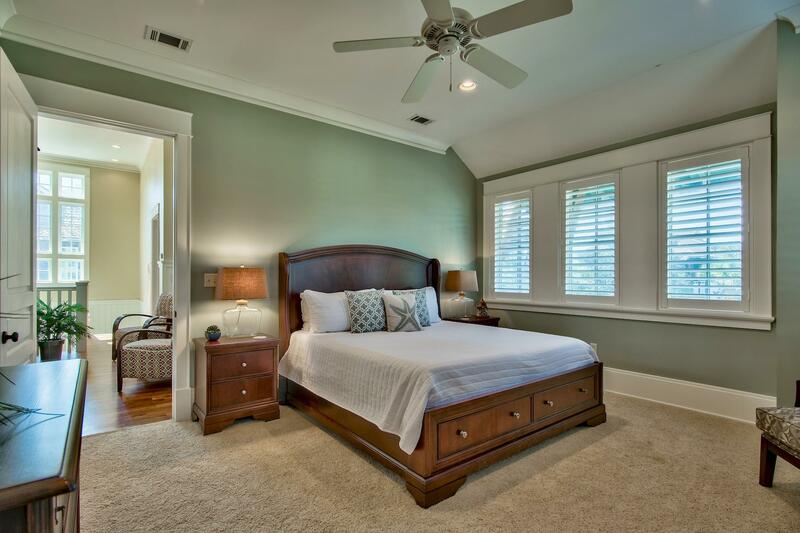 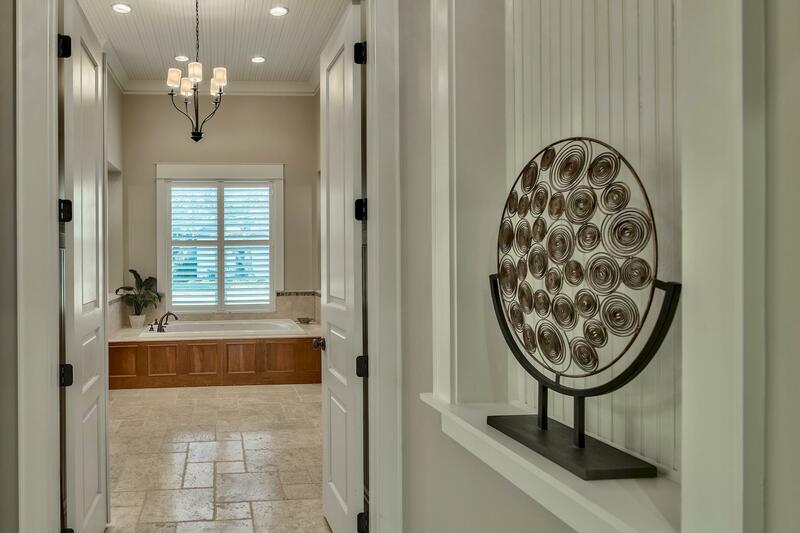 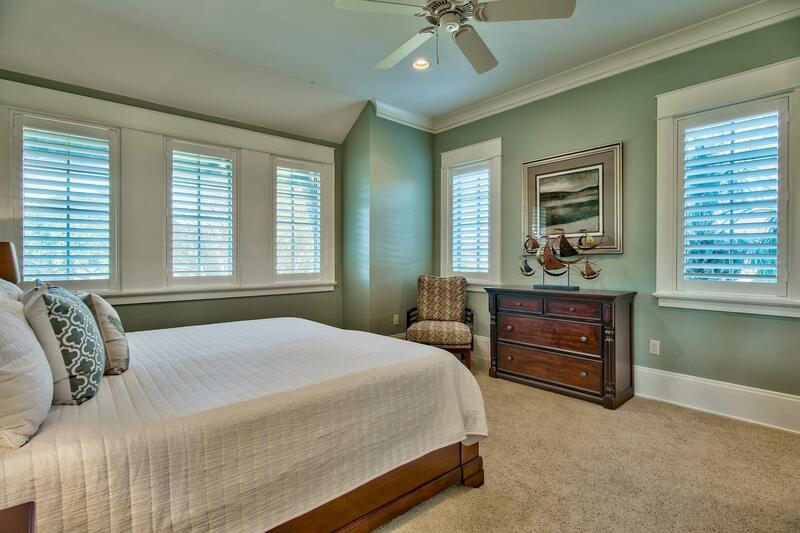 Wake up to serene lake views through the French doors in the main floor master suite. 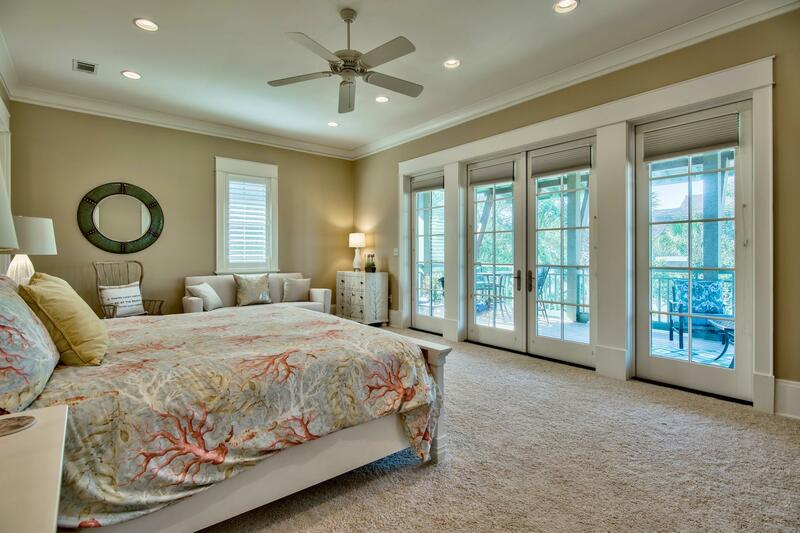 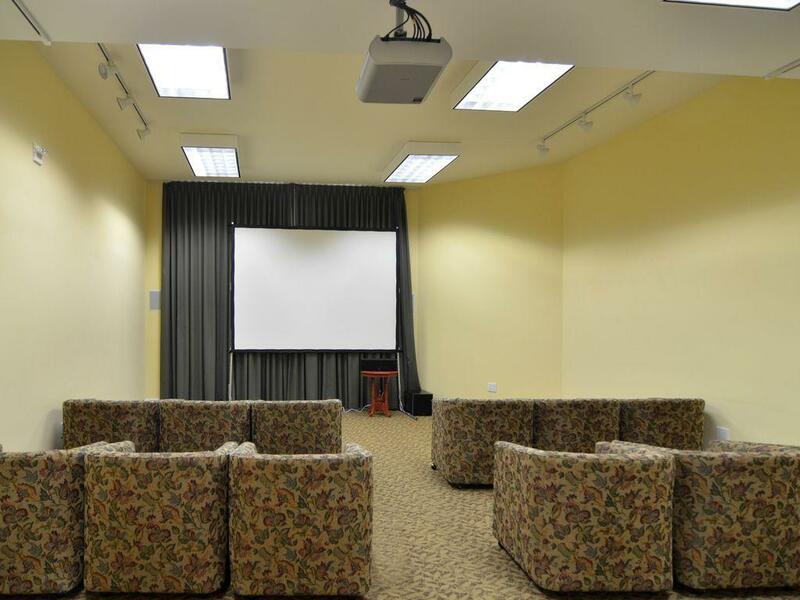 The second floor reveals an additional master suite, two generous guest bedrooms, an open family room/den and media room. 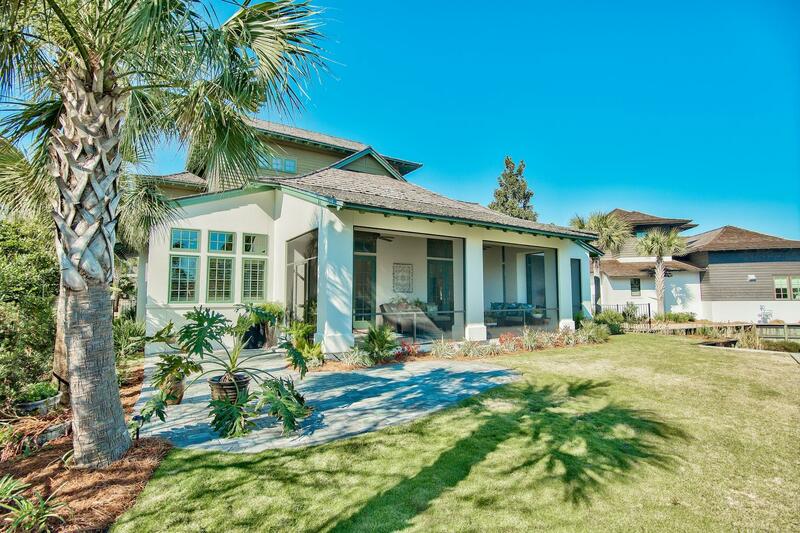 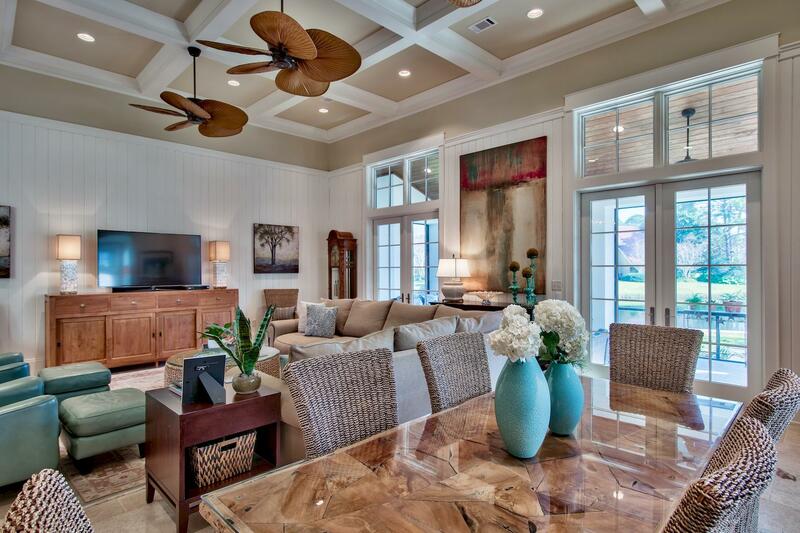 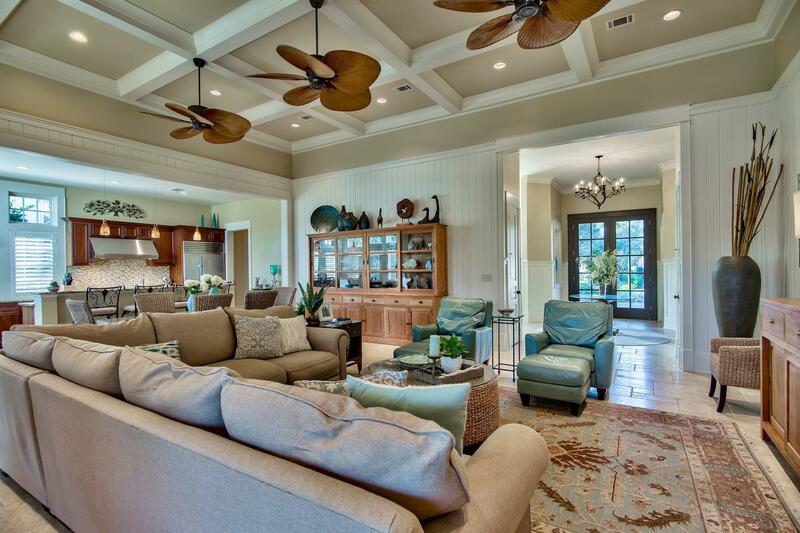 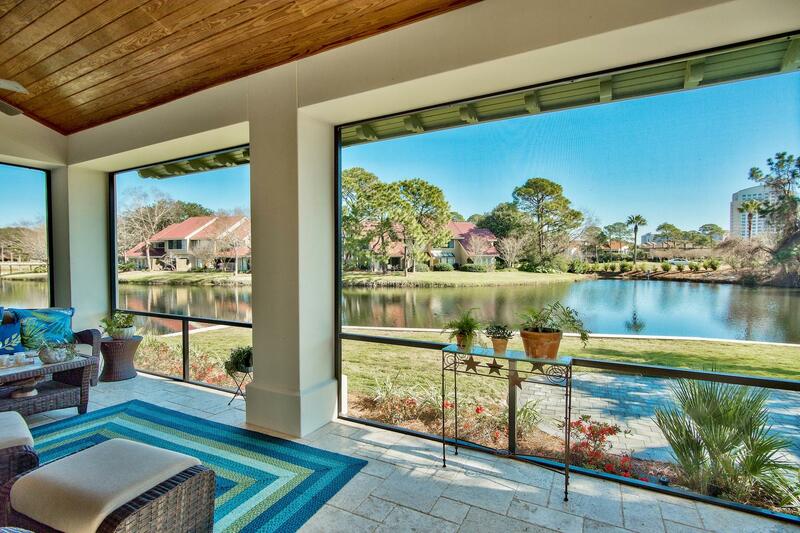 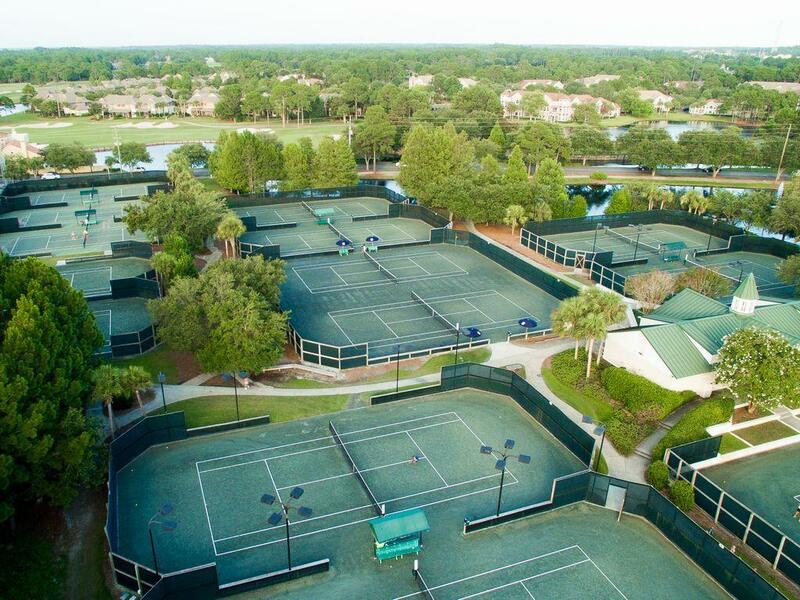 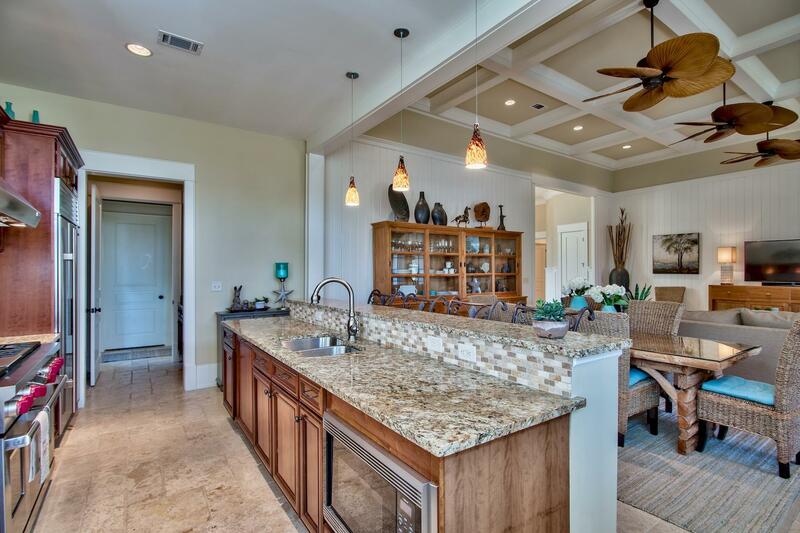 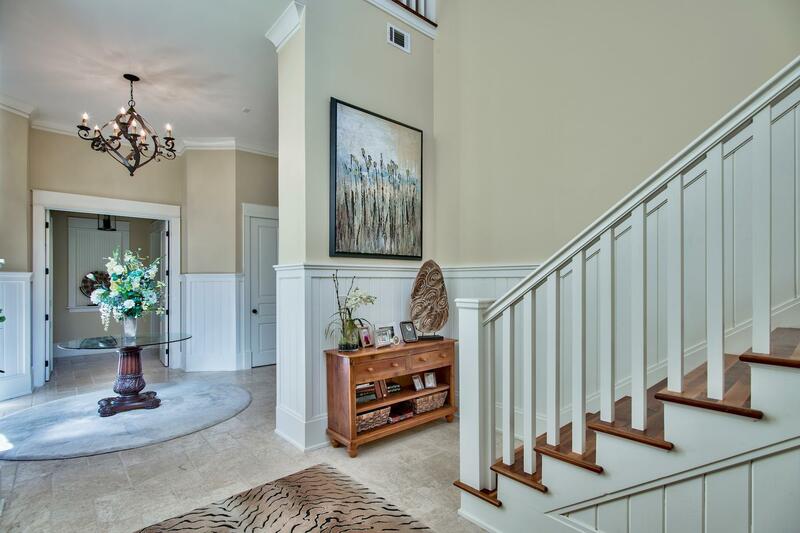 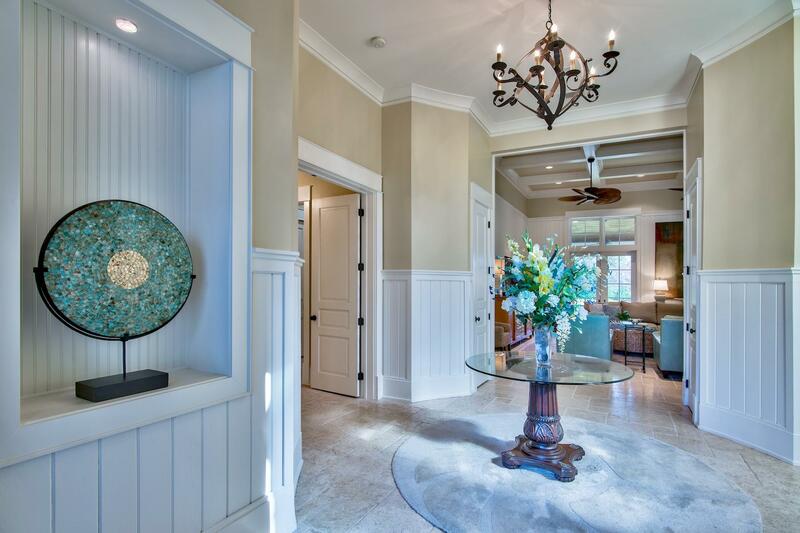 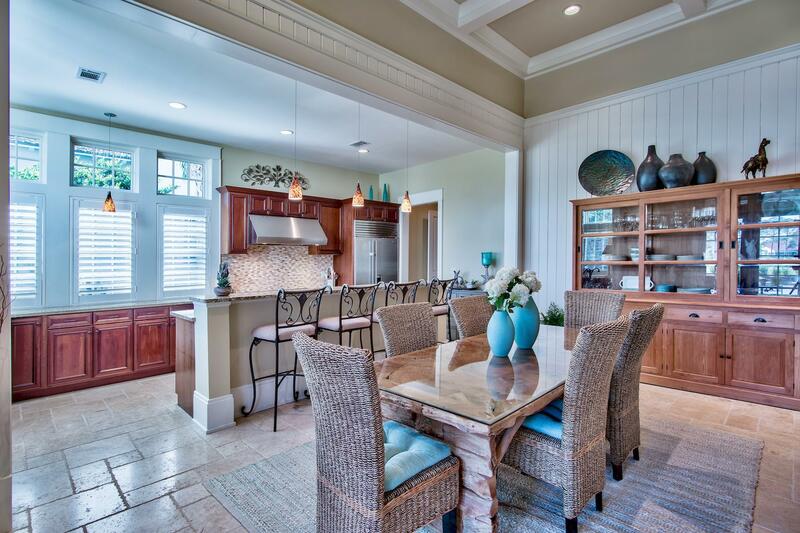 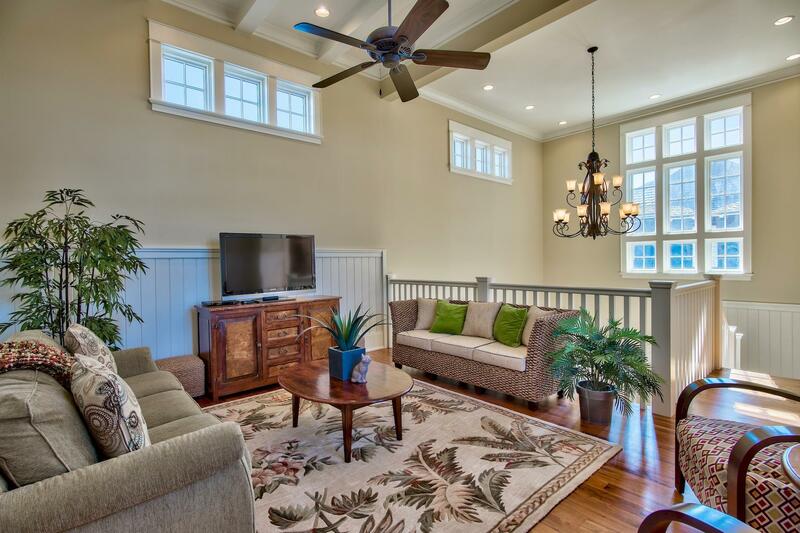 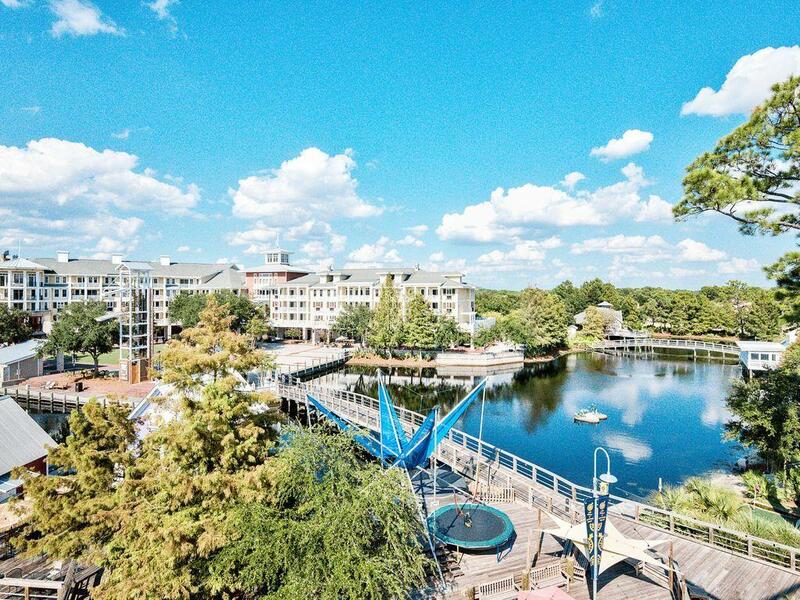 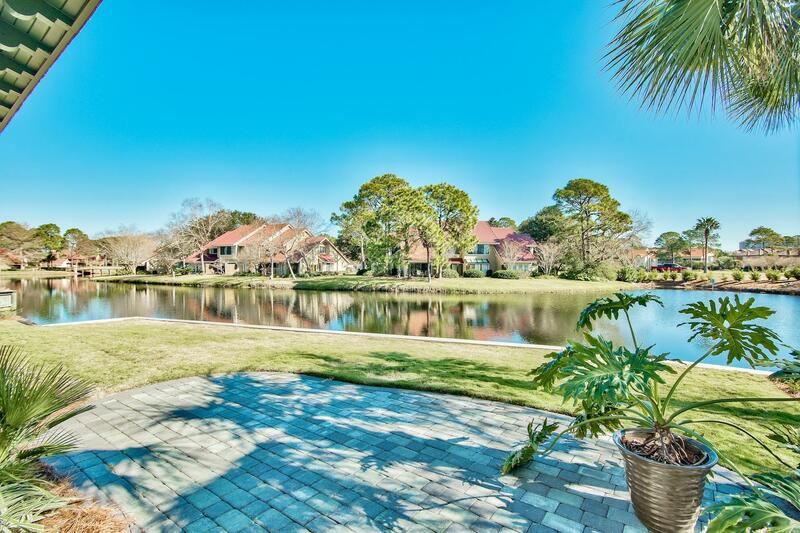 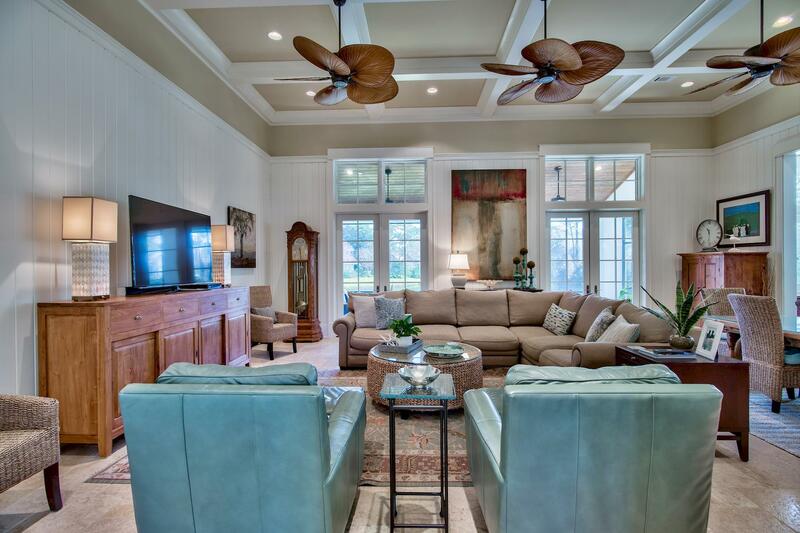 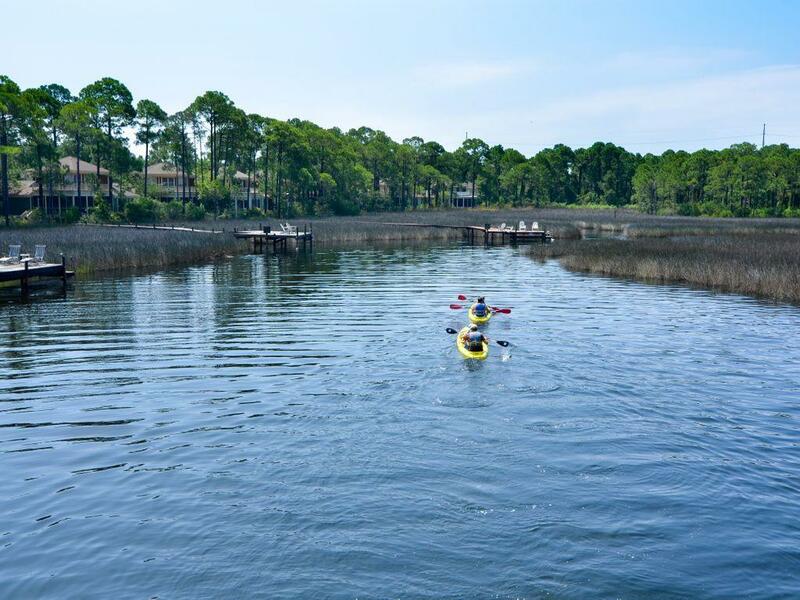 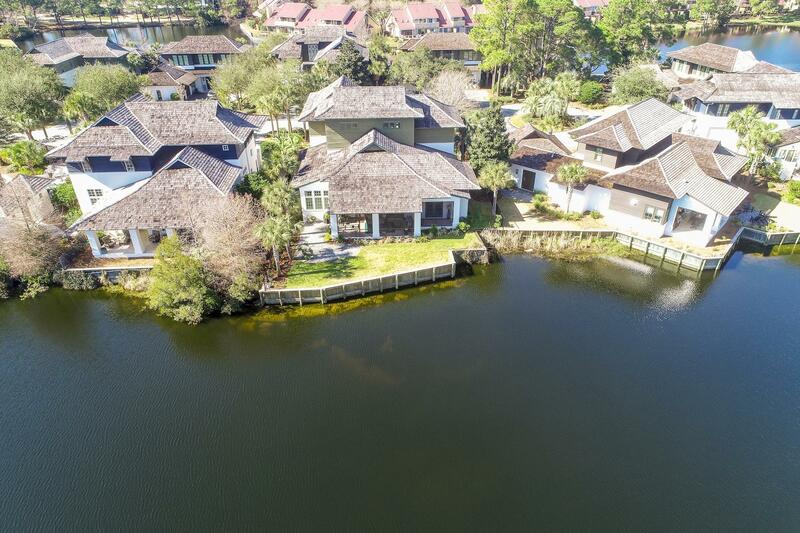 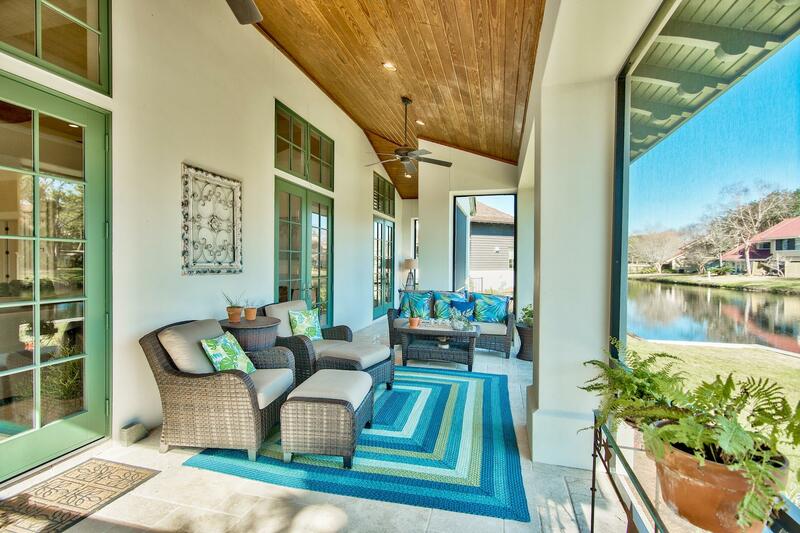 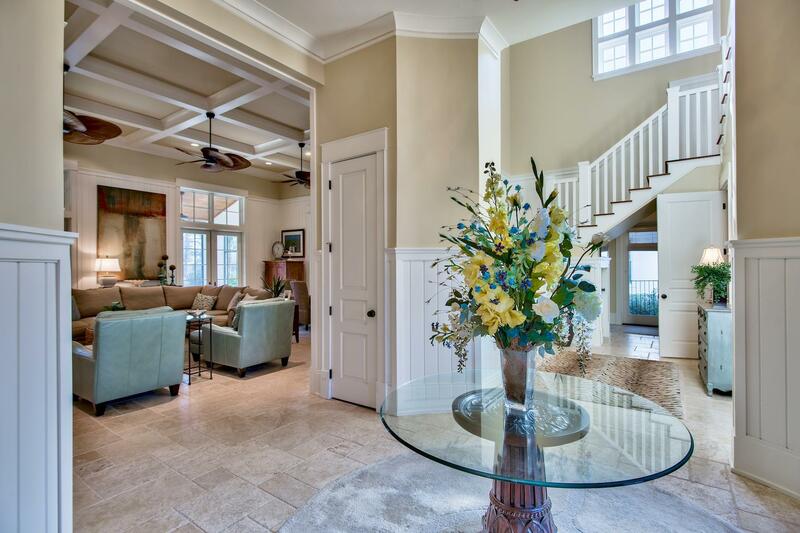 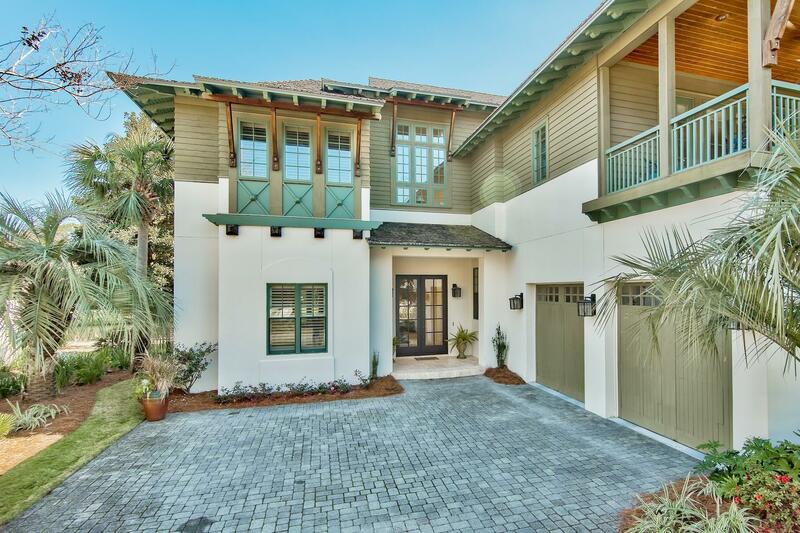 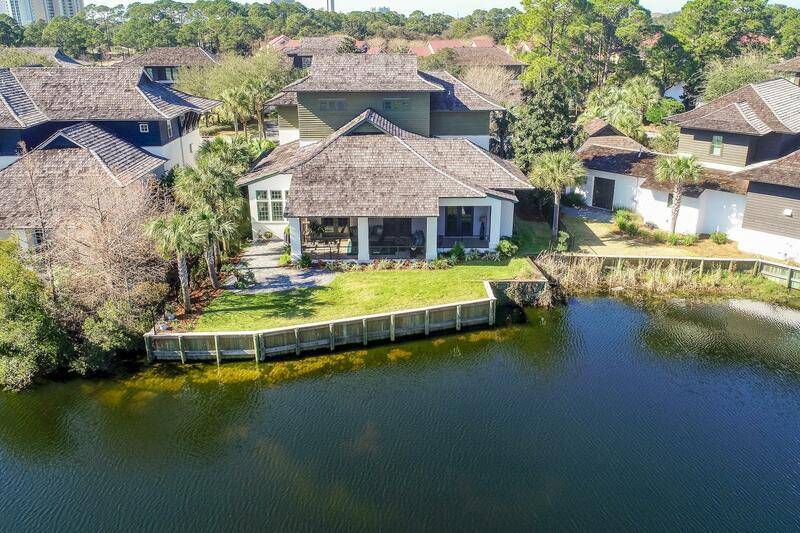 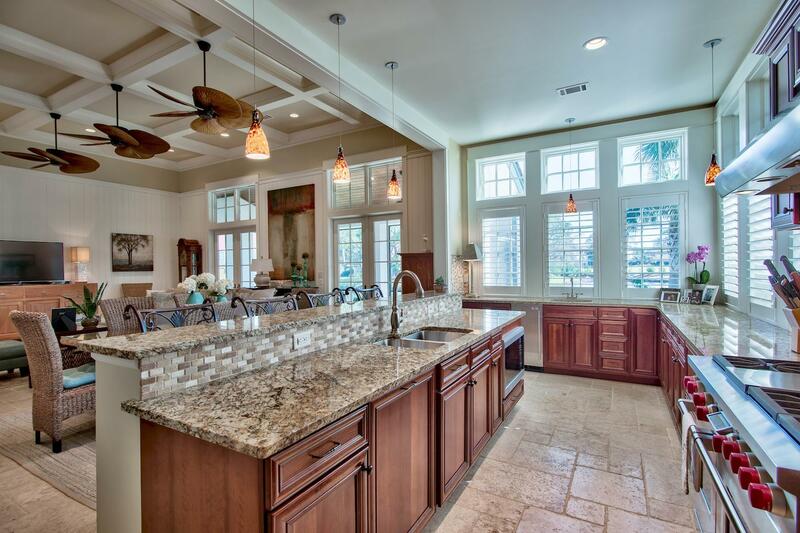 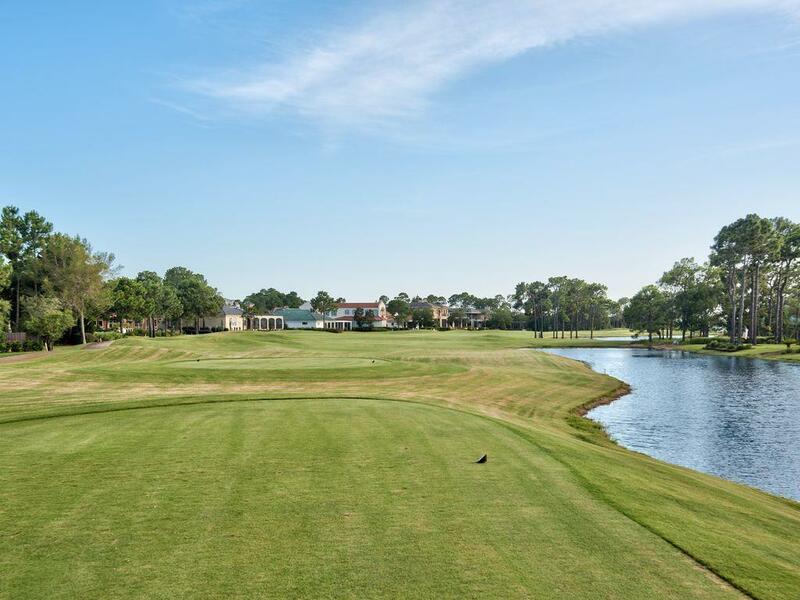 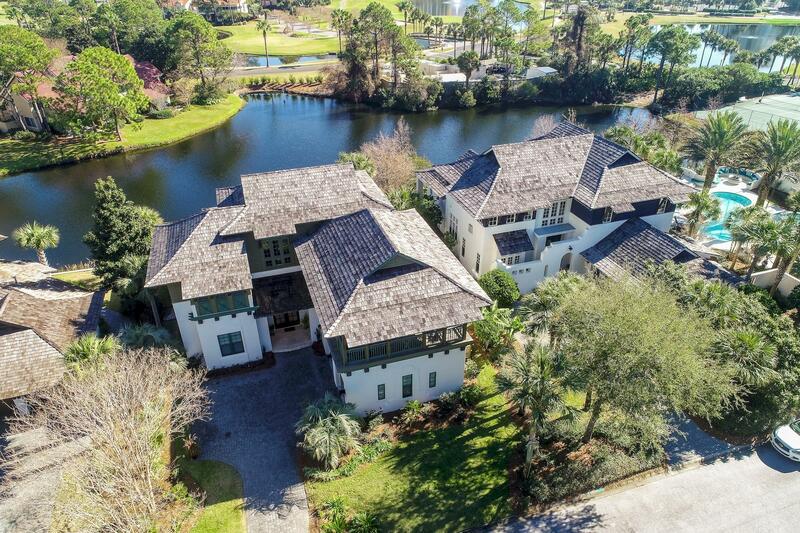 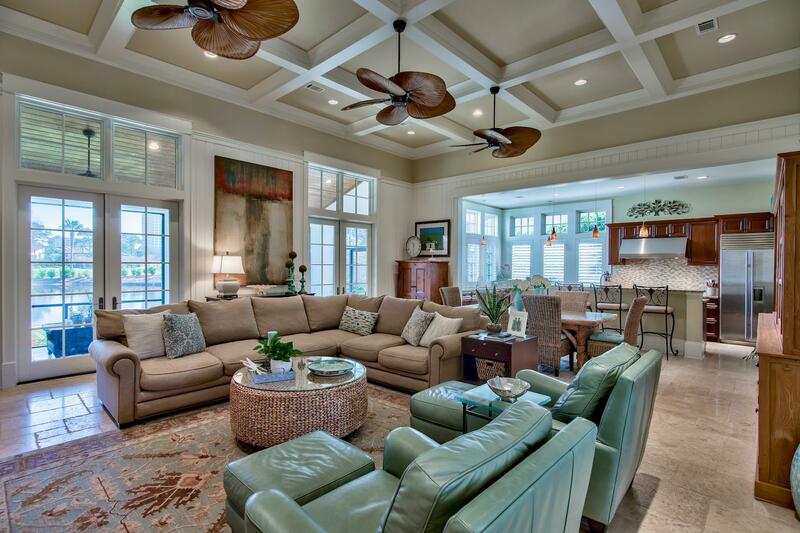 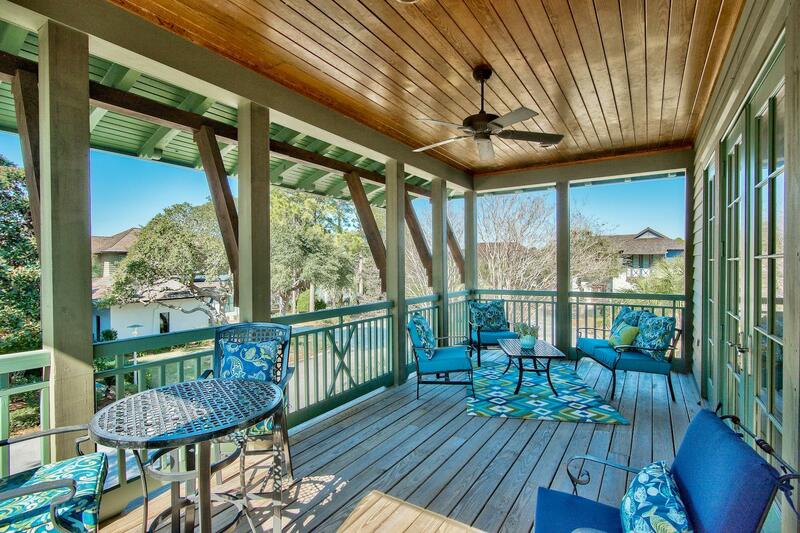 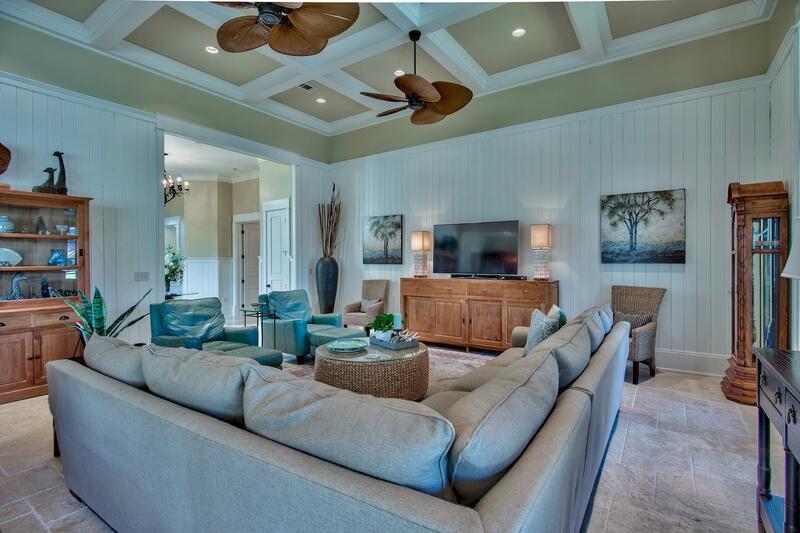 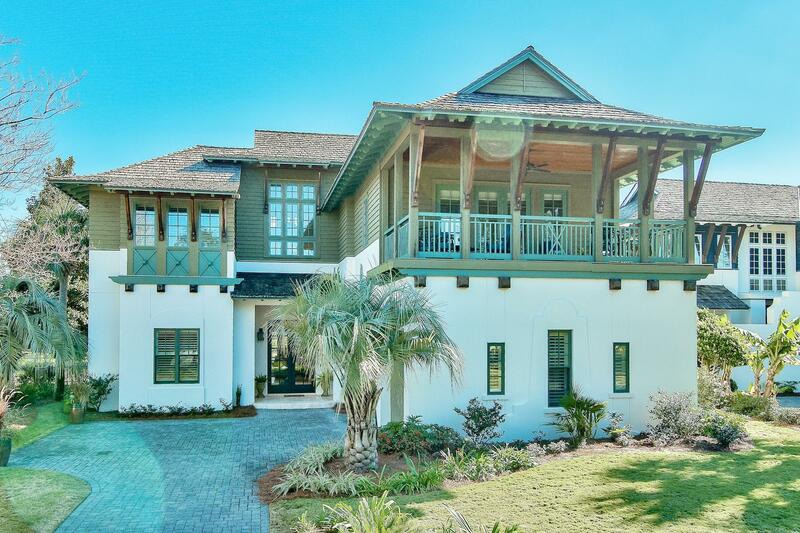 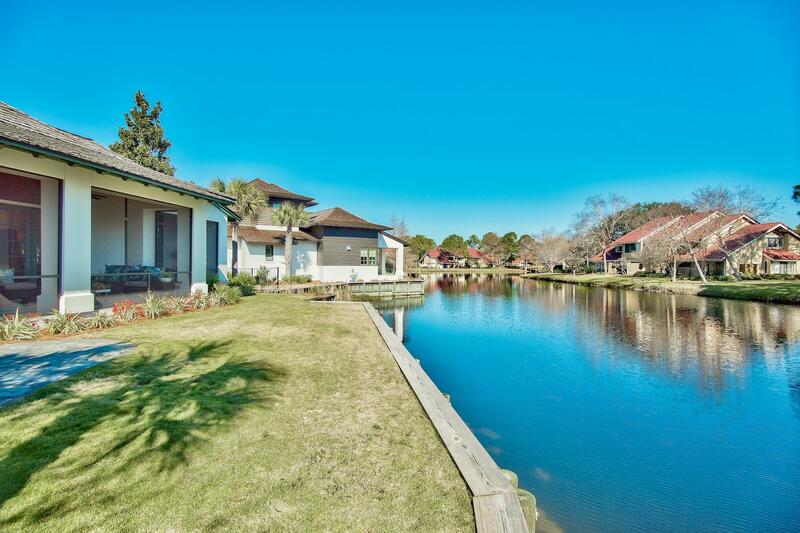 Living in this beautiful home on a private street within Sandestin Golf and Beach Club delivers the best of both worlds: privacy and tranquility on a beautiful lake along with tennis, golf, swimming pools and a marina. 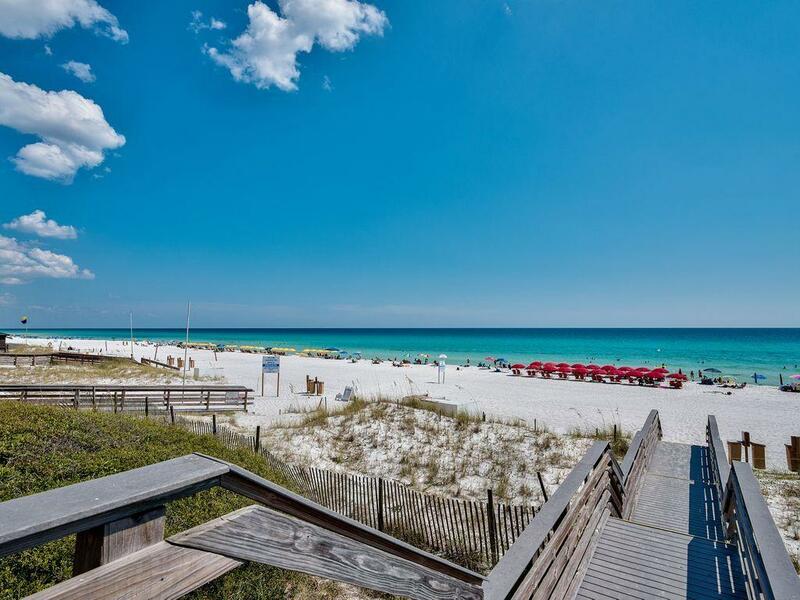 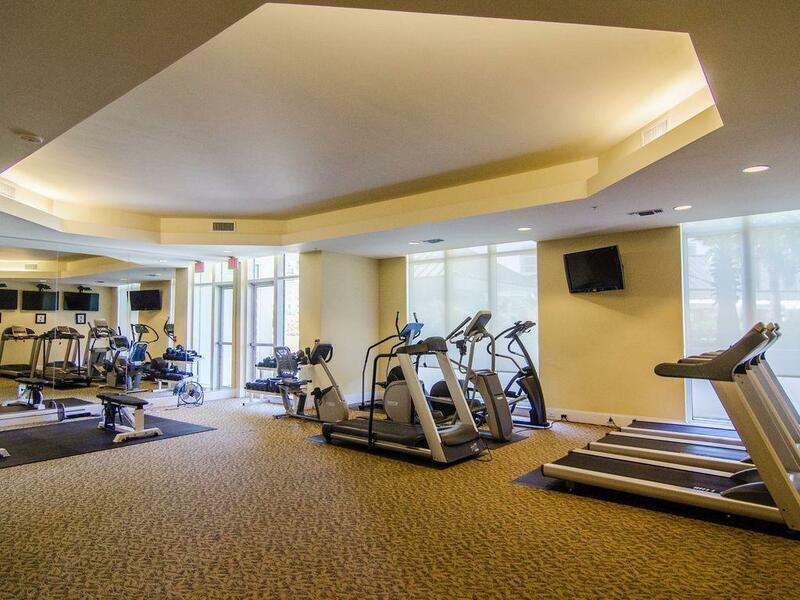 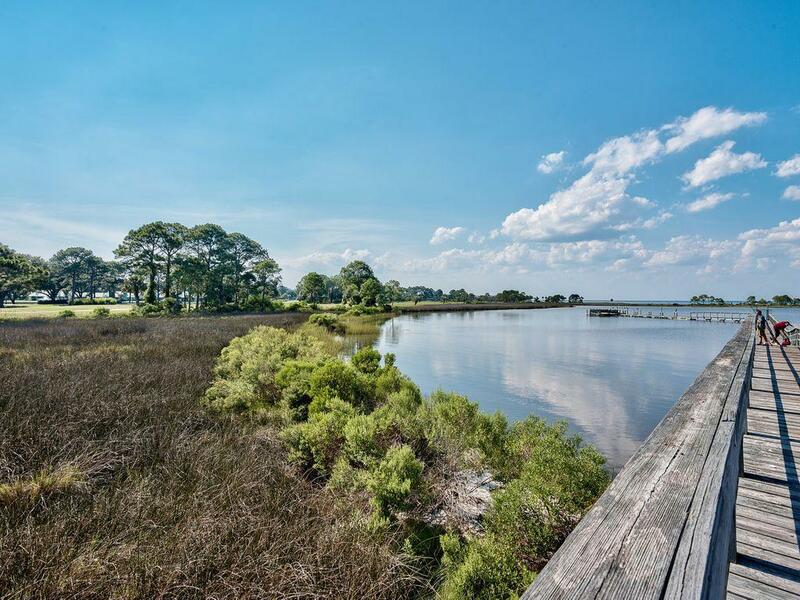 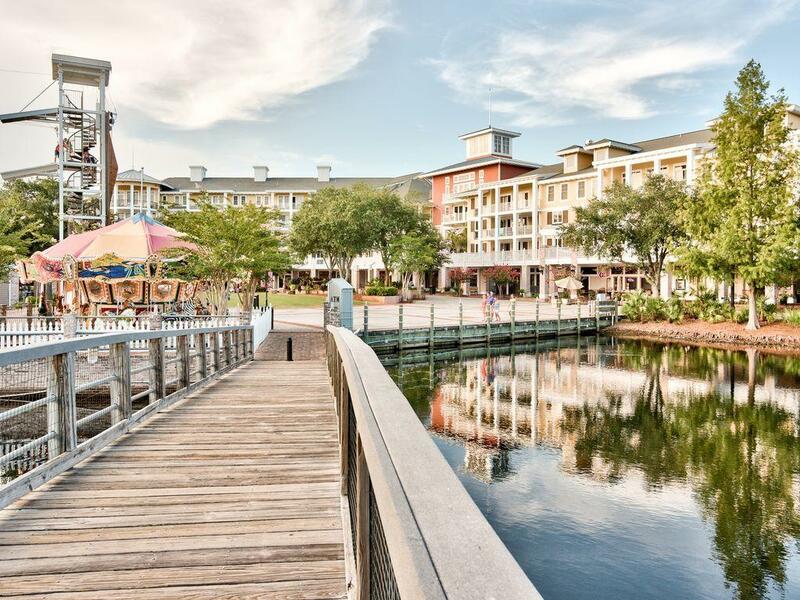 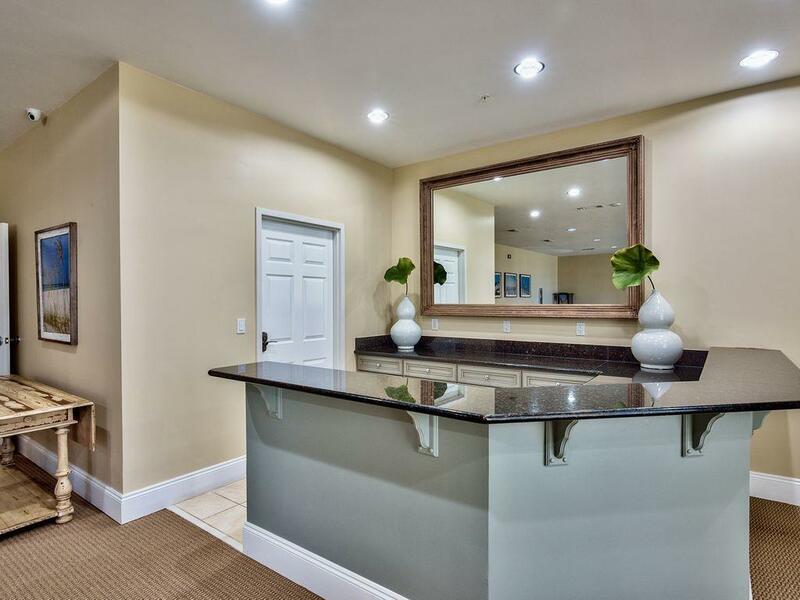 Beach access is a natural plus, just a short stroll south!